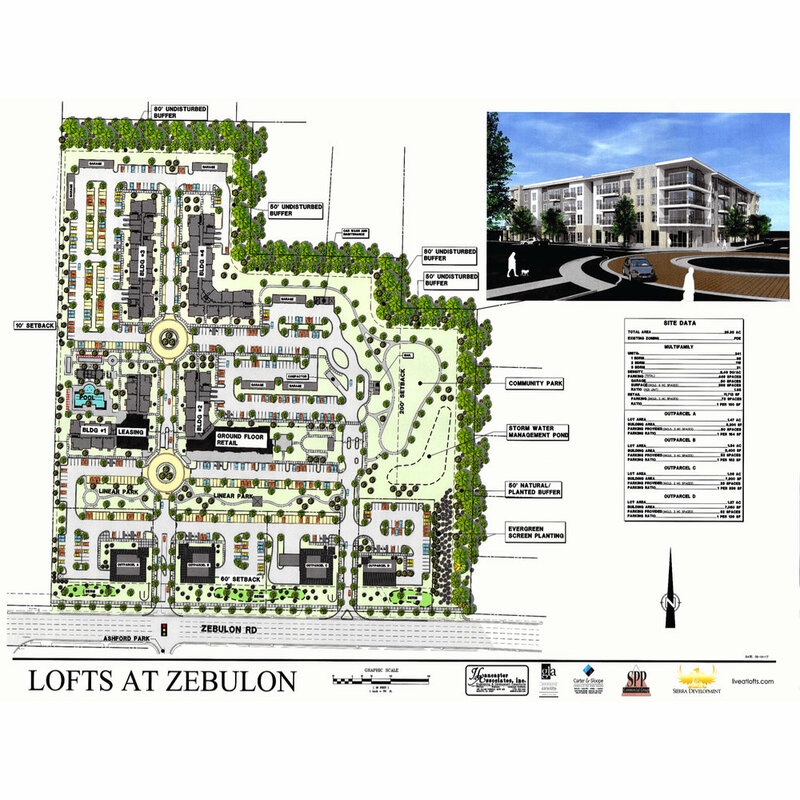 The Lofts at Zebulon is a 241 loft development to be located at 5801 Zebulon Road. The project calls for 4 buildings, each 4 stories with elevators and will include direct access garages, an infinity pool and ground floor retail space. We expect to open Spring 2019.